This afternoon we went to Bryn and Hannah's house for a girls only tea party. Caroline tried the tea, but preferred juice instead. She decorated a beautiful crown and dressed up with her friends. 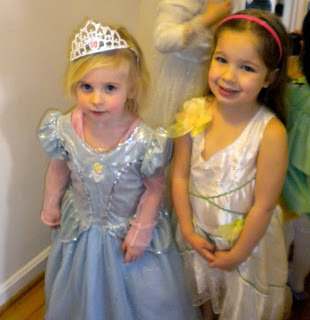 She actually had on two princess dresses. 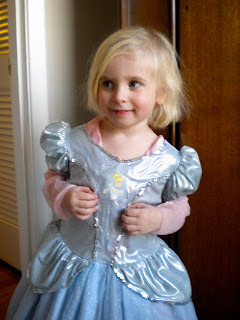 There is a pink one underneath the blue Cinderella dress. She had lots of fun with her friends, as did Mommy!